This article will show you a quick simple guide on how to create an enterprise architecture diagram. Feel free to create any enterprise architecture diagrams even without any professional drawing skills. Let's take a look right now! 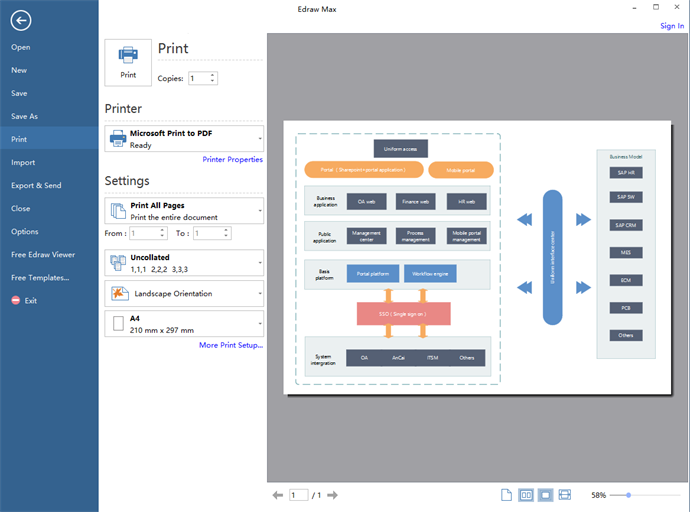 Open Edraw Max 9.0, and refer to File > New> Business Diagram > Enterprise Architecture. Then you will see a new drawing canvas. You can create enterprise architecture diagram by dragging and dropping pre-made symbols. The libraries are on the left of the canvas. Simply click the Library button and find Business Diagram > Enterprise Architecture. First, you can drag the boxes to build up the framework, then you can add symbols to the program. Once created some units and added some symbols to your diagram, you can change the styles of these symbols. Simply refer to Home > Styles. To connect two shapes, you can use the Connector tool from the Home menu. There are straight connectors, curved connectors, and freestyle connectors to choose. To set default Connector style, please refer to Page Layout > Connectors. 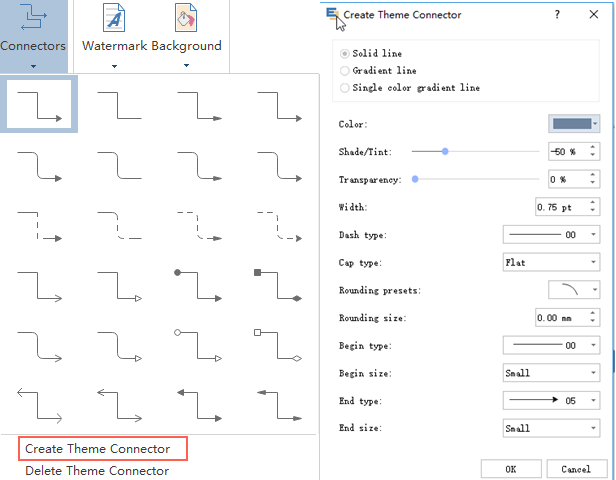 You can select from any of the pre-defined styles, or click the Create Theme Connector at the bottom of the drop-down list to set custom default connectors. Double click a shape, for example, a pre-set symbol. Alternatively, you can refer to Home >Text. If you want to edit your text, such as font or size, simply go to Home >Font. 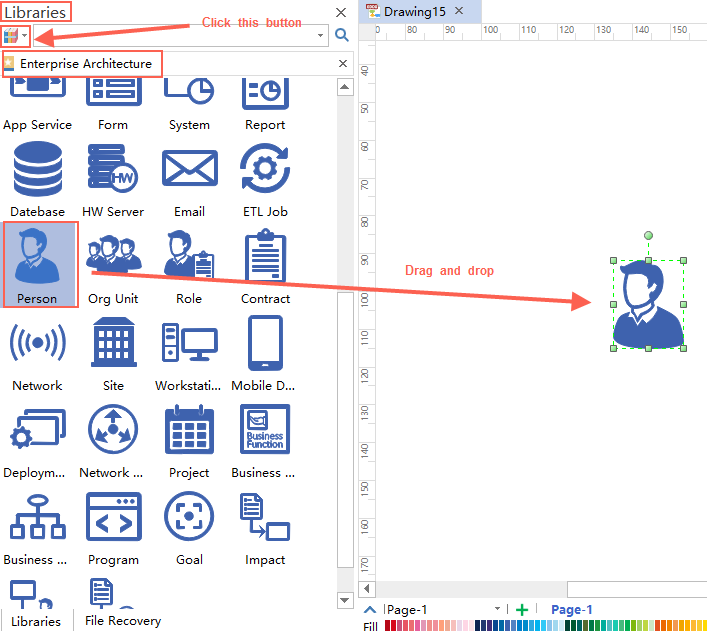 You can quickly change the overall style of your diagram by changing themes. Go to Page Layout, so you can see a list of themes. Click one of them to change the overall style of the diagram. 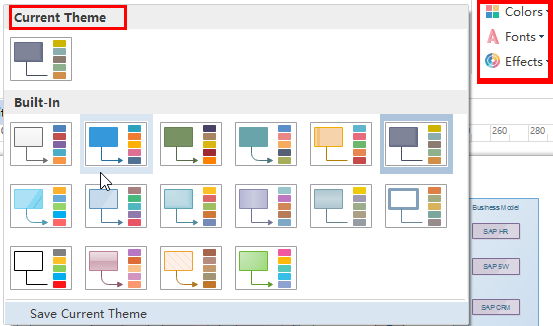 After choosing a theme, you can further change the Theme Colors, Theme Fonts or Theme Effects. Click File > Save to save your work. Choose File > Save as to save to your computer, personal or the team could. Hit File > Export or Send to export your Enterprise Architecture Diagram in different formats. Feel free to add any notes, comments, attachments, external links, tables or pictures into your work. Simply go to Insert menu. 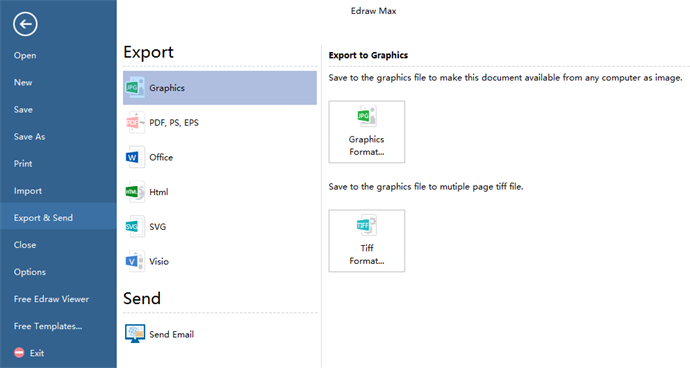 All the pre-set symbols in Edraw Max 9.0 are editable. Simply go to Symbols to choose from a wide range of functions and features. Click File>Print. A preview of your document will be automatically shown. Kind Reminder: If your size of the work is larger than the print paper, the drawing will be printed on more than one paper. To print it on only one paper, click More Print Setup... and then choose Fit to. Try Enterprise Architecture Diagram Software Right Now! 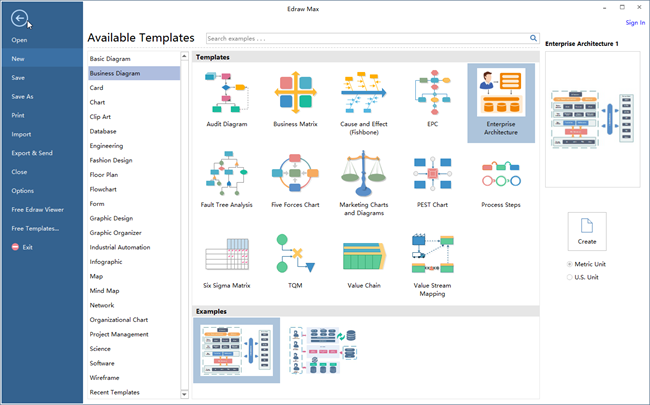 Edraw Max provides a highly effective way to draw enterprise architecture examples. The software includes a wide range of usefful symbols and functions for you. Try it now!